With 27 albums and 3 Grammys in a career that spans five decades, Tom Chapin may be the most successful children’s entertainer in America today! Families love his brand of smart, catchy and relevant songs about things that matter to kids. His music is described as “kid-friendly and adult safe” so everyone, no matter the age will enjoy the show. 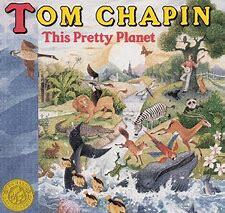 Check out this recording of Tom’s hit This Pretty Planet (featuring Judy Collins). The Tom Chapin Family Concert takes place this Saturday at 1 p.m. at Roland Performing Arts Center at HLG University. Tickets are still available online at www.eventshanniabal.com or call the box office at 573-719-3226. Adults $25 Children $12 -General Admission. Next article There’s still time to get your tickets to “one of the great personalities in contemporary folk music”! 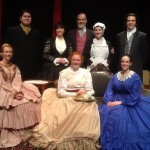 Next Performance of The Heiress- Thursday, July 23 at 2:00 P.M.